Located at Elks Golf Course in Ponderay (just 1 mile north of Sandpoint, Idaho). Follow Highway 200 out of town, we're on the right! Call 208-263-3811 to check for open times. We do not have any hookups, but there is a space available between the railroad tracks and highway to park RV's. (It may be a little noisy at night). 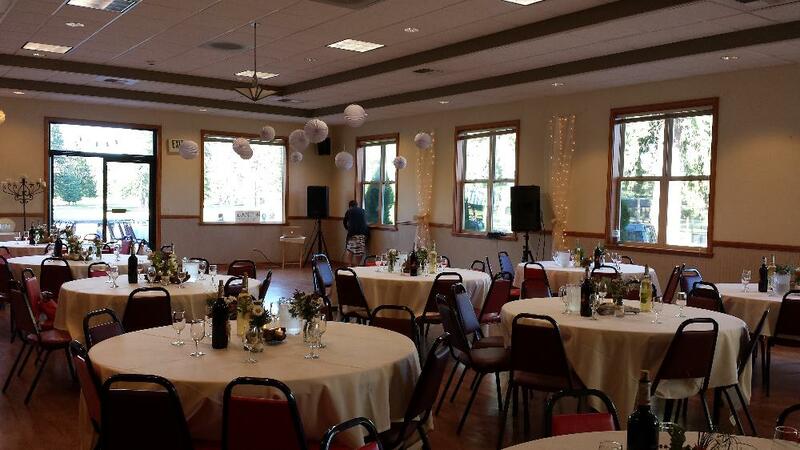 Lodge room is available for rent for receptions, parties, etc. Call The Elks (208) 263-3811 for information and reservations.